Obour Hot Over Cash Again! President for the Musicians Union of Ghana (MUSIGA) Bice Obour Osei Kuffour has come under yet another serious bashing from a group calling itself the Veteran Musicians Association of Ghana (VEMAT) over money matters. 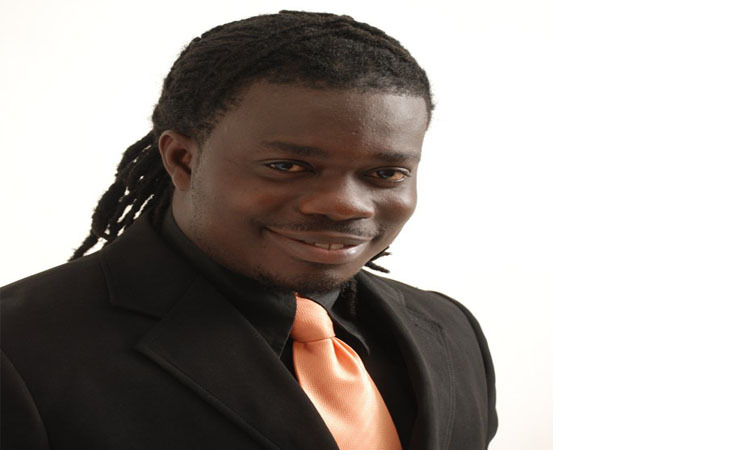 Chairman of VEMAT, Daniel Agyei, speaking on Peace FM’s Entertainment Review stated that each year after the Vodafone Ghana Music Awards (VGMA), organizers of the music event, Charter House, gives MUSIGA an undisclosed amount of money with a small percentage going to VEMAT but for some years now, they have not received their share of the token. “Charter House explained to us that after the VGMAs there is a special cash allocation meant to help the Veterans. The money Charter House allocated to us, each time we asked which account it was dropped into, the president of MUSIGA is unable to tell us,” Daniel Agyei, popularly known as Dan Ray, stated. According to Dan Ray, the entire membership of VEMAT have strong reasons to believe that the Obour-led MUSIGA administration have other plans for money given to them by Charter House other them depositing it in the group’s account. “Recently Obour decided to shut down the VEMAT so he can replace it with his aging musicians’ fund. But from my understanding of aging musicians, it means that the MUSIGA President is not ready to recognize us the aged or veteran musicians in Ghana. When MUSIGA needs people to support this country, they fall on us. We have travelled with them to various places but when it comes to money issues, the union headed by Obour, they don’t know as,” Dan Ray said. The group feels MUSIGA has shown gross disrespect towards them by trying to throw out VEMAT. “Recently Obour invited as for a meeting and we submitted a proposal to him concerning how much of the money we needed. Obour agreed to the proposal and even took our bank accounts. If your father asks you for money and you don’t intend giving him and you take his bank account, does that show respect? We have some members who are sick but nothing is being done for them. Four years ago, I took money out of my pocket and donated to Guy Boat who was sick,” he noted. But checks by NEWS-ONE with George Quaye, head of programs at GhOne Entertainment TV and Charter House revealed that each year after the VGMAs, his outfit gives a token appreciation to MUSIGA with an advice that part of that money should be allocated to VEMAT fund. “MUSIGA is the organization we have been dealing with over the years and it is not like after the VGMAs we take some money and pay them, no, we cannot pay for their services… However, when we finish, we give them a token appreciation so that they can also run their affairs and we advice that part of the money be channeled to that fund. But we need to emphasize that we cannot tell MUSIGA what to do with the money,” George Quaye said. But the MUSIGA president has denied any wrongdoing and explained that his Union has rather established a welfare fund to assist the aged musicians in the country who cannot make ends meet. He said the Ageing Musicians Welfare Fund (AMWF) will be launched this Friday, July 26, to cater for the aged musicians in the country. According to him, most of the aged musicians who are not in active music business are currently living in deplorable conditions which are seriously and affecting their productivity. Outlining some of his plans for the fund, the MUSIGA president said his outfit would organize series of activities including live musical concerts throughout the country to raise money for the fund. He stressed that he would work tirelessly to improve the living standards of members and musicians in general, whilst ensuring good industry practices and directly influencing policies of the industry that would impact the national economy. Obour disclosed that one of his main goals is to make it more attractive to musicians, lucrative to members and industry players and beneficial to the country. He said his administration would make conscious efforts to create jobs for both young and old musicians across the country. The Ageing Musicians Welfare Fund, according to Obour, would celebrate one of the aged musicians every year and the proceeds from the event would be used to sponsor some of the fund’s activities.